Yep, I'm wearing navy again. 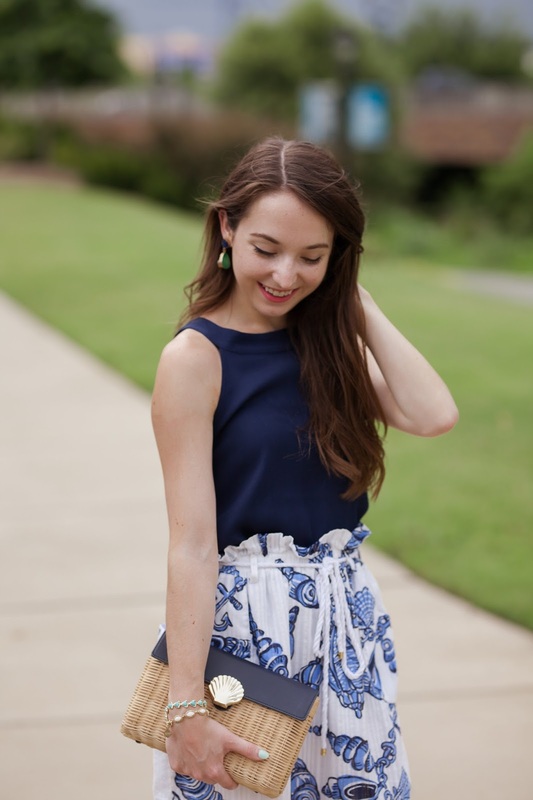 I am loving the back detail on this top from Blue Porter Boutique, it goes with so many of my printed skirts. But I think it would also be great with white denim or printed shorts. 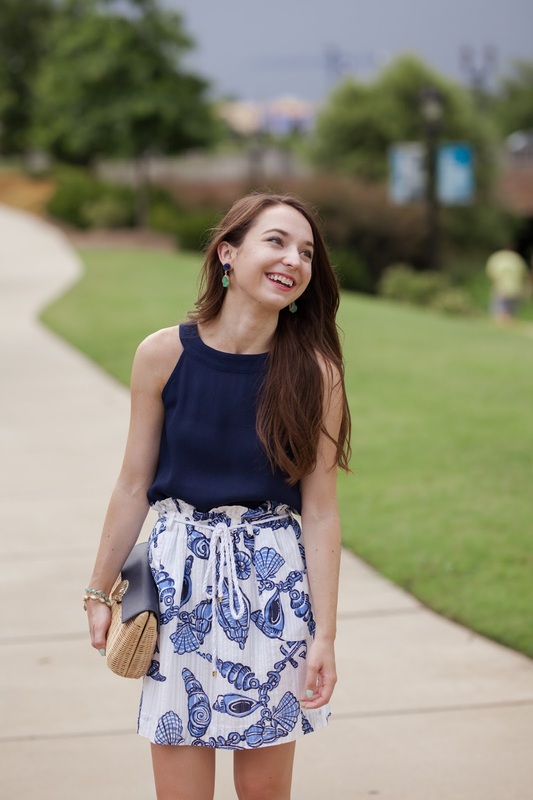 I've styled this top with an old favorite Lilly Pulitzer skirt (I think from 2012?) and these druzy earrings also from Blue Porter Boutique. 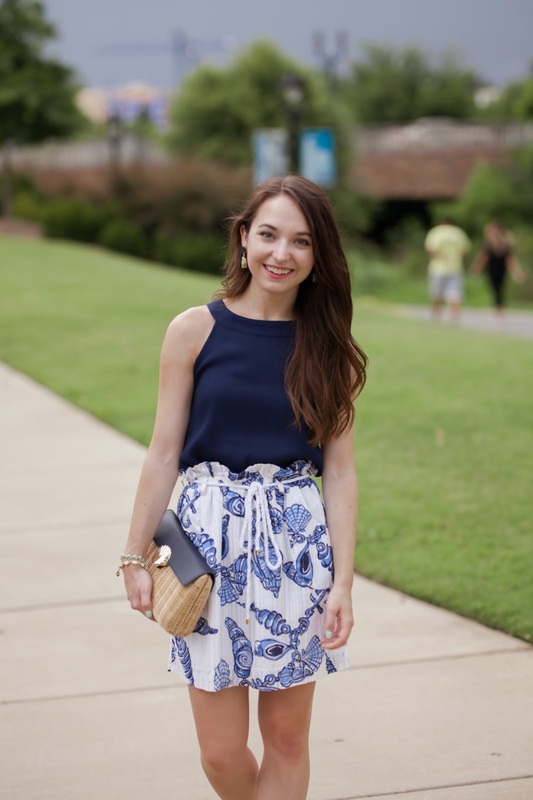 I wore this look for dinner at the beach with my family a few weeks ago, and I think I will wear it somewhere in Charlotte with white jeans and wedges! 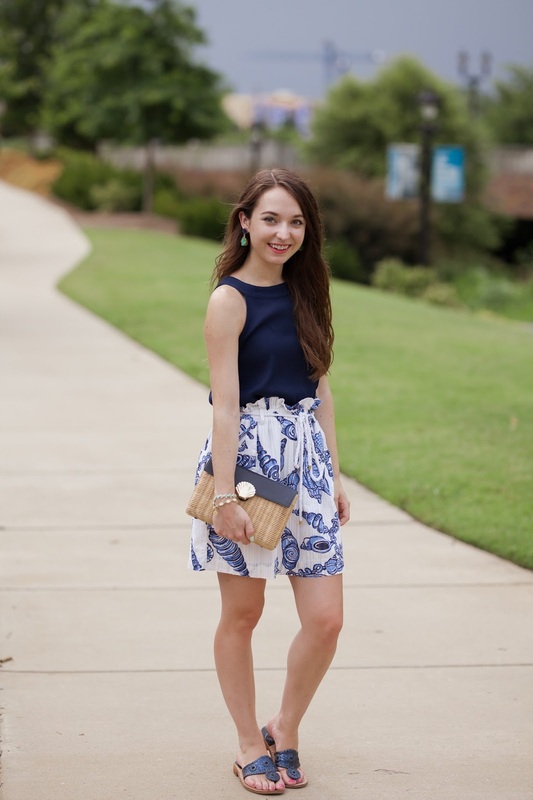 This is one of my favorite Lilly skirts- I wish she would bring this style back! I have two and I love them! 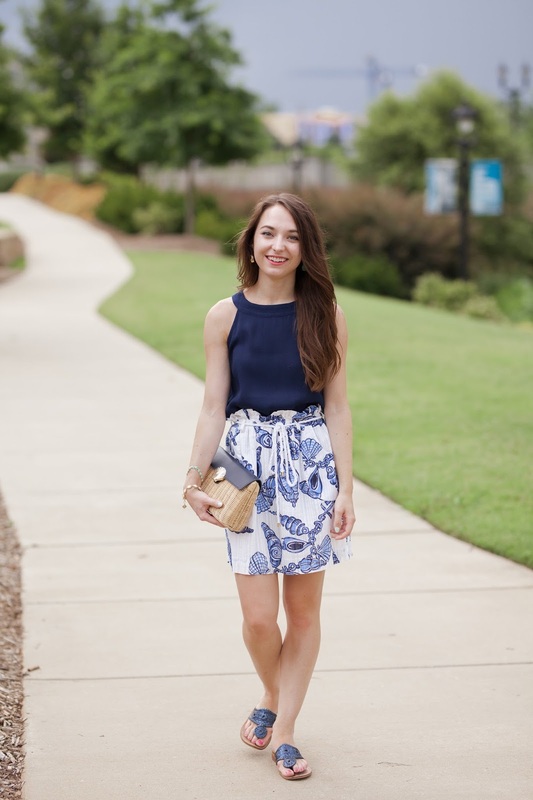 This Lilly skirt is so cute, I've never seen this style before!! Blue is definitely your color!